It’s getting to the point where the saying ‘You can’t make these things up’ is starting to become null and void because you don’t have to make anything up anymore. People are actually doing it. Sidney Bouvier Gilstrap-Portley attended Hillcrest High School in Dallas, Texas and played on the boys’ basketball team. Only one problem with this scenario: He is a 25-year-old man. 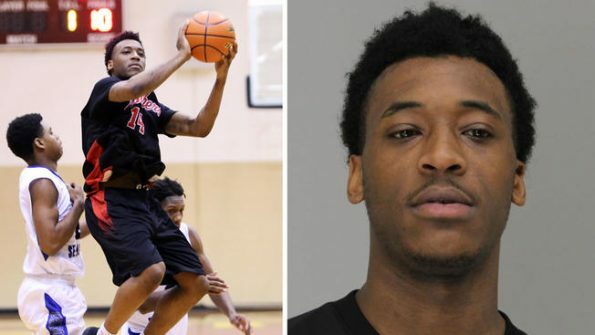 Sidney, who went under the alias Rashun Richardson, was named the District 11-5A Offensive Player of the Year during the 2017-18 season, but today, he’s in jail on a charge of tampering with government records, according to the Dallas Morning News. The mother of a 14-year-old female student told the paper he dated her daughter while at Hillcrest High. Gilstrap-Portley, who officials say was operating under the alias Rashun Richardson, was named the District 11-5A Offensive Player of the Year during the 2017-18 season. Dallas Independent School District spokeswoman Robyn Harris said they believe his “primary motivation” for using Hurricane Harvey to get enrolled was basketball, according to the Dallas Morning News. He was eventually caught after one of Gilstrap-Portley’s former coaches remembered he saw him graduate from North Mesquite High School, so he alerted officials. Gilstrap-Portley has since been released from jail after posting bond.